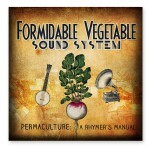 The Formidable Vegetable Sound System are turnip’n up the radish beets and rocket’n the planet with their indelible ditties & rhymes illustrating the 12 principles of permaculture in various musical styles ranging from ‘climate-change reggae’ to ‘peak-oil polka’. After touring the US Charlie and the crew have hit Europe and the UK with a number of gigs and workshops before their biggest gig yet… Glastonbury, with the Rolling Stones and Nick Cave amongst others. Then there’s the Shambhala music festival in Canada in August and plans are in motion for an event later in November in Cuba for the 11th International Permaculture Congress. You can find out more about upcoming shows and what he’s up from their website. 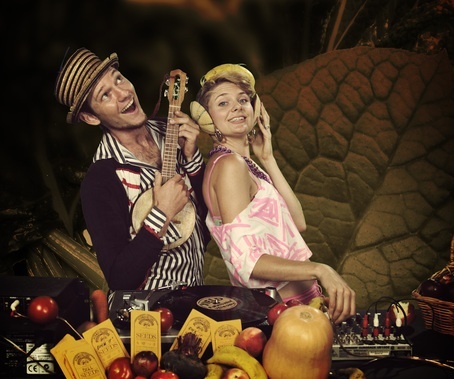 At the heart of the the Formidable Vegetable’s, with it’s ever evolving line up, is Charlie Mgee and Katrina Button. They decided to pool their skills at the Woodford Festival in 2011 and studied the Permaculture Design Course at Djanbung Gardens together. When set a task set by Robyn Francis to creatively present a permaculture principle, Katrina challenged Charlie to write a song. The track ‘Produce no Waste’ was the result – originally played solo with the Ukelele. From there Charlie released all twelve principles in acoustic form on YouTube, where he received incredibly positive feedback – watch them on the ‘permaculture songs’ video playlist. A campaign on green crowdfunding site WeTheTrees helped to raise funds for recording and release of his full length album that features all 12 principles – complete with electroswing component. The CD includes a second disc of acoustic tracks, along with lyrics and Ukulele chords, so you budding musicians out there can learn them. A DVD is in the pipeline, with the first polished clip ‘Yield’ released in time for the launch of the album at CERES Environmental Park in Melbourne. 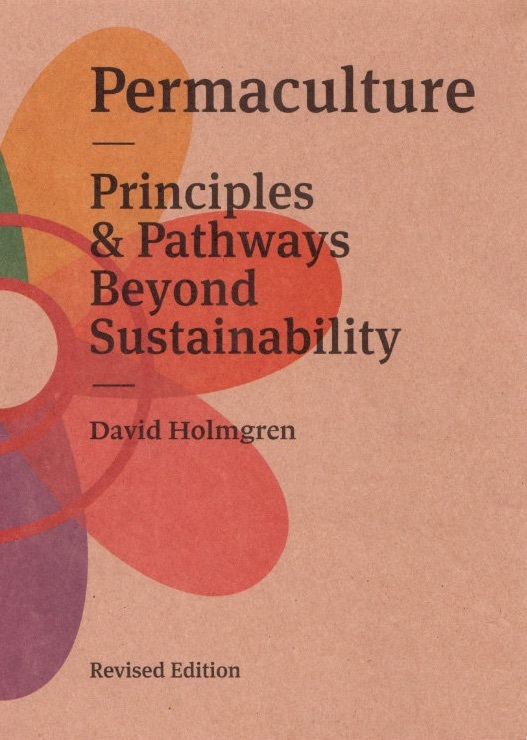 You can listen to the album in it’s entirety as you learn each of the permaculture design principles. Support the spreading of the message and buy the album.